Cornell is an institutional member of the National Center for Faculty Development & Diversity, a nationally recognized, independent organization providing online career development and mentoring resources. The NCFDD provides members with access to tools to increase research and writing productivity and improve work-life balance. Cornell University is an institutional partner of the Association for Women in Science (AWIS). Create an account to enjoy number of professional development programs and services such as newsletter, the AWIS career center, and various webinars. Cornell University maintains an institutional membership with the New York Academy of Science (NYAS). Secure a sponsored membership with NYAS to access to various resources such as networking & resource building and career readiness training. Activate your account by completing the Cornell specific membership form. Versatile PhD is an online resource designed to help humanities, social science, and STEM PhDs identify, prepare for, and succeed in non-academic careers. Cornell graduate students have free access to premium resources provided through the University’s subscription to Versatile PhD such as real-life resume and cover letter examples and panel discussion events. Activate your account by authenticating yourself as a Cornell affiliate on the VersatilePhD log-in page. ImaginePhD is a free online career exploration and planning tool for PhD students and postdoctoral scholars in the humanities and social sciences. Cornell graduate students can 1) conduct online self-assessments to identify skills, interests, and values, 2) explore careers paths, 3) develop next steps for career and professional development, and more. Activate your account on the ImaginePhD website. Optimal Resume is an online resource, which provides sample resumes and cover letters as well as templates to help you create your resume and cover letter. Additionally, you can practice your interviewing skills through the Optimal-Interview tool. Cornell graduate students have free access to these premium resources. GoinGlobal is a great place for international internship or job opportunities. In addition to the job listings, this site provides country and city-specific employment/career guides, which are all developed by local employment experts. This site also has an H1B visa resource, helping international students identify employers historically hired international talent in the United States. 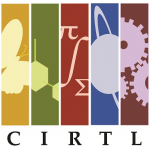 CIRTL is a North American future faculty preparation effort with branches at nearly 40 universities. Participate in webinars, online courses, and summer teaching institutes on diversity in the college classroom, Individual Development Plans (IDPs), the academic job search, and many additional topics on teaching and research mentoring. Activate your account by creating an account on the CIRTL Network website.